Signmenu : Independence day menu for digital signage for restaurants. An exquisitely designed Independence Day menu ! The dark blue color background is perfectly complimented by the white typeface and the multi-color graphics. 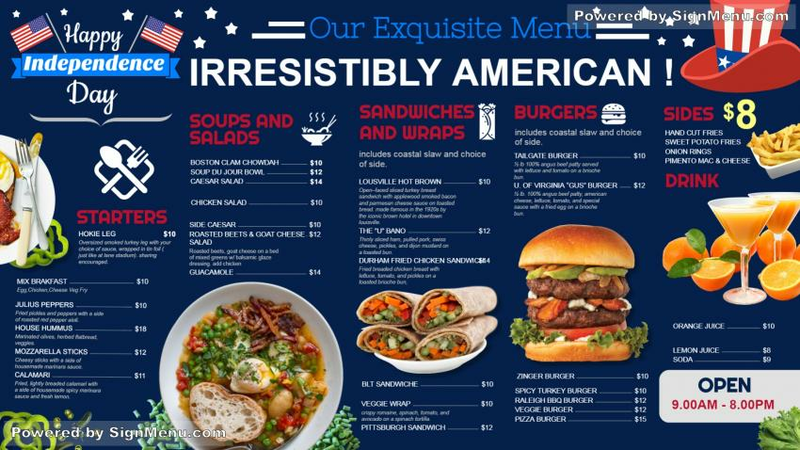 The menu too is exotic with a combination of fast food and meals, all American. On a digital screen , the mood and flavor of Independence Day will come to the fore and sales will go up substantially.